Fri., Mar. 18 to 20: American Crossword Puzzle Tournament. 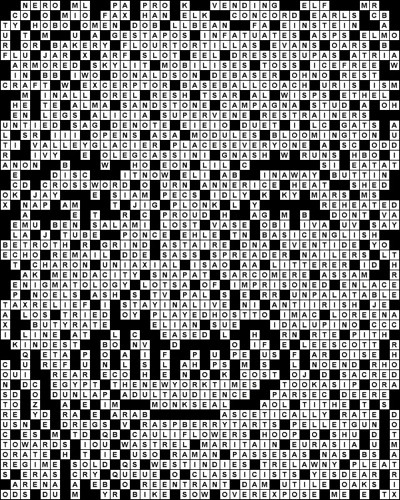 Directed by New York Times Crossword Puzzle Editor Will Shortz, this is the nation’s oldest and largest crossword competition. Solvers tackle eight original crosswords created and edited specially for this event. Scoring is based on accuracy and speed. Prizes are awarded in more than 20 categories, including a $5,000 grand prize. Evening games, guest speakers, and a wine and cheese reception allow solvers to meet each other in a relaxed and entertaining atmosphere.